Adam Levine doesn't want to sound like he's complaining. He recognizes that Maroon 5, the Los Angeles-based outfit he's led for the better part of a decade, has consistently enjoyed the kind of success most bands only dream of: millions of albums sold, multiple Grammy Award wins. Yet on the eve of the release of Maroon 5's third studio album, "Hands All Over" (due Sept. 21 from A&M/Octone), Levine can't help but gripe a little. "The general perception of our band," he says, "still needs work." 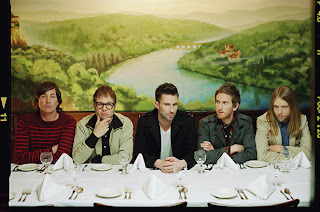 The 31-year-old frontman is talking about an image issue that's dogged Maroon 5 since the group's earliest days, when it broke out with the sleek top five single "This Love." "On paper we're really no different than any other rock band," he says. "We're a group of guys who've been friends for years who write songs and release them. But there's definitely this strange disconnect over who we are and what roles we play in making our music." 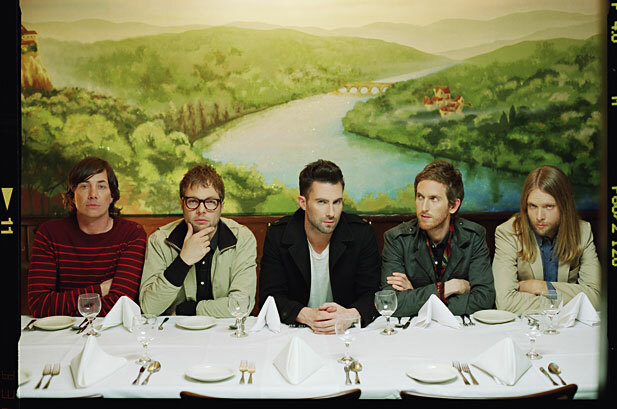 Levine remembers once catching wind of a rumor that Maroon 5 -- which also includes guitarist James Valentine, keyboardist Jesse Carmichael, bassist Mickey Madden and drummer Matt Flynn -- started out as a boy band. "I have to admit that's very frustrating for me," he says. "I do a lot of work and write the lion's share of our music. As much as the band plays a huge role in helping me put it together and writing certain parts, it's all done in-house. No one has ever written a note for this band who wasn't in the inner circle. I'm not sure people know that." It's suggested to Levine that perhaps what fuels the misunderstanding about Maroon 5 is his place in young Hollywood's glittery firmament. "That's probably true to a certain extent," he acknowledges. "I do feel like if I had long, shaggy hair and wore a hat with a feather in it and refused to do interviews I'd probably have a different reputation. But I look kind of like an architect, so people get confused. I upset their rock'n'roll norms."